Good Housekeeping has a special 12-month subscription offer exclusively for PTA Members! For only $6, you’ll receive an entire year of this modern lifestyle magazine featuring great, useful content for busy women and moms—such as recipes for fast, delicious meals, budget-friendly style tips, ways to improve your health, and simple solutions to manage all aspects of your family life. Log in to redeem this special PTA subscription offer. We’re at the Airport and in your Neighborhood. The world's largest airport general use car rental brand, operating from approximately 10,090 locations in 145 countries, is proud to offer PTA members up to 20% off using discount CDP# 1929580 every time you reserve. Trusted nationally. Represented locally. 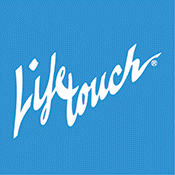 Lifetouch serves the photographic needs of children and families across North America, in schools, studios and houses of worship. PTA members: print this iMemories coupon courtesy of Lifetouch. Mountain America Credit Union supports a broad array of financial literacy efforts for both adults and youth. This financial education is aimed at helping individuals and families get on track financially, become motivated to take action and live balanced lives. Visit www.macu.com/PTA or call 1-800-748-4302 to get started. *Based on eligibility. Restrictions may apply. Visit www.macu.com/pta for full details, terms and conditions. Federally insured by the NCUA. With TeenSafe’s iOS and Android smartphone monitoring, you can join over 1 million parents who have the ability to discreetly supervise their child’s “digital life” through texts, calls, social media, web activity, and more. TeenSafe empowers parents to safeguard their children from harm, while offering them the independence they crave. TeenSafe offers the most comprehensive range of tools for modern parents, with advanced capabilities to monitor deleted text messages, group chat, KiK Messenger, GPS location, installed third party apps, and much more. TeenSafe is also the only monitoring solution that doesn’t require parents to jailbreak their child’s iOS device. Built for parents, by parents, TeenSafe is a proud sponsor of the National PTA, and is offering 7-day free trial to all parents who sign up. For more information, visit TeenSafe.com.